Recent presidential installation ceremonies have been studiously planned and free of major disasters. It hasn’t always been so. With malice toward none. The only thing we have to fear. Ask what you can do for your country. 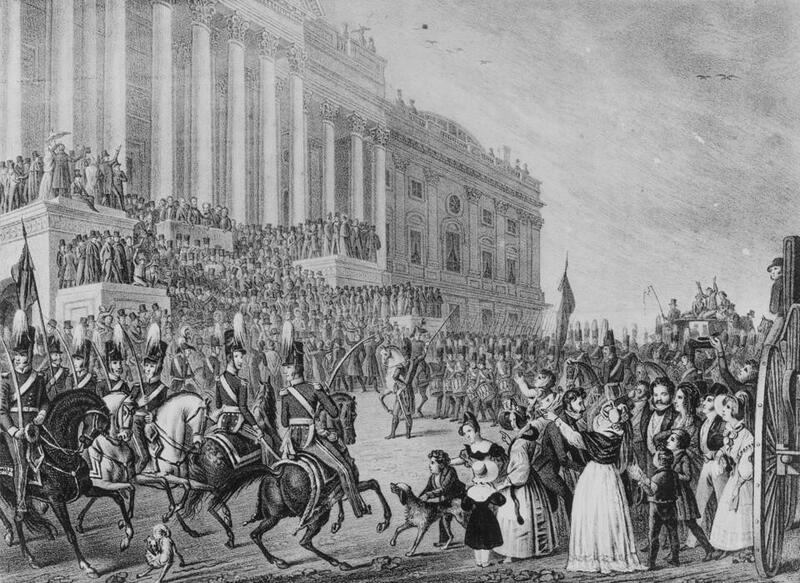 Presidential inaugurations will, at their best, inspire their audiences—not just in their respective moments, but for decades and centuries to come. But presidential inaugurations are also run by people, which means that, sometimes, they will go extremely wrong. Sometimes, it will be protests that will mar the best-planned ceremonies. Sometimes, it will be human pettiness (as when President Hoover, riding with Franklin Roosevelt in the motorcade to the Capitol in 1932, seems to have ignored Roosevelt’s attempts at conversation, instead staring stone-faced into the distance). Sometimes, however, inaugural exercises will encounter disasters of a more epic strain: storms, illness, death, extremely pungent cheese. With that in mind, here are some of the worst inaugurations in history, ranked in order from the mildly to the egregiously disastrous. Once again, the chief executive chose his own words over the ones that had been prepared for him. The new president’s first actions in office suggest his style from the trail isn’t going away soon. The secretary of defense did well to protect the military from politicization, against overwhelming force. Angela Crawford has taught English at a Philadelphia high school for 23 years. Not many veteran black teachers like her are left nationwide.